Today we are celebrating the birthday of the Peanuts cartoon strip! 63 years ago today it first appeared in newspapers. Yay! Happy Birthday Peanuts! Also check out the cool lunch done by my buddy at What's In Our Lunch Bags? 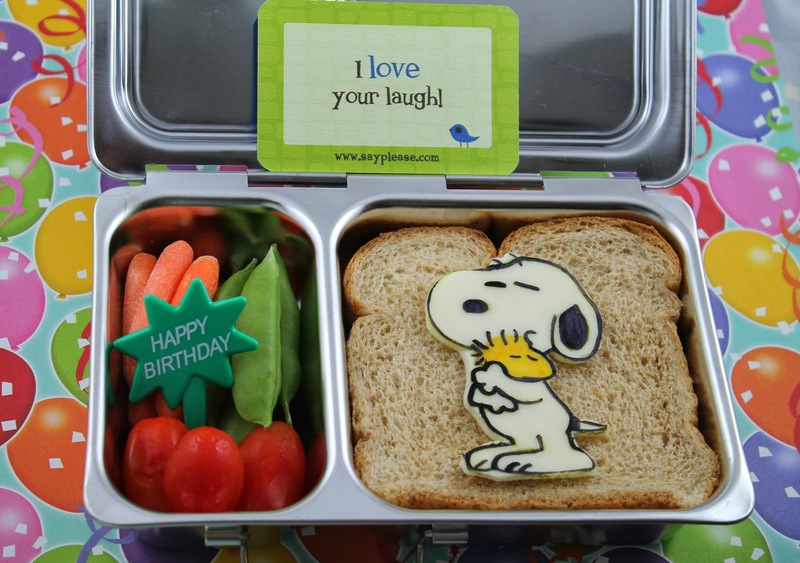 On the left there are carrots, snap peas, and tomatoes and in the main compartment a peanut butter and jelly sandwich with Snoopy hugging Woodstock made of cheese and food coloring. 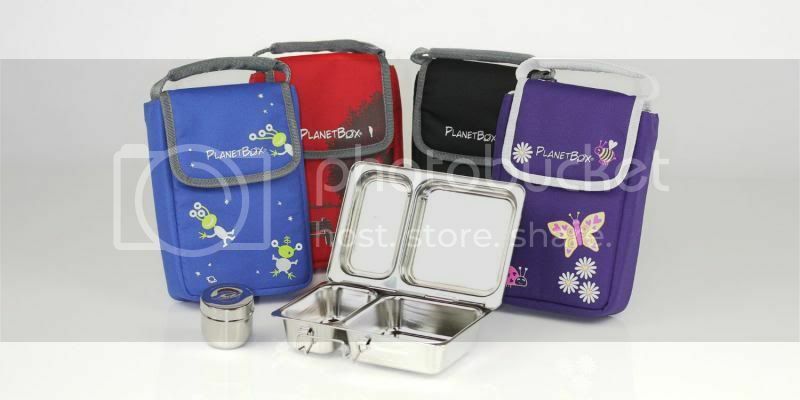 All packed up in our PlanetBox Shuttle with a Lunchbox Love note! I'm dying from cuteness overload! Your Snoopy is absolutely adorable! I am in love with this super cute Snoopy and Woodstock! This lunch melts my heart. I LOVED Snoopy as a kid. He was on my lunchbox, thermos everything. SO, so sweet! Snoopy and Woodstock look absolutely amazing! My daughter just told me this week that she wants me to make a Peanuts lunch. I cannot wait to show her this (though she'll surely be disappointed with whatever I make after seeing your awesomeness)! I LOVE THIS! I had no idea it was their birthday. Fantastic job love it!